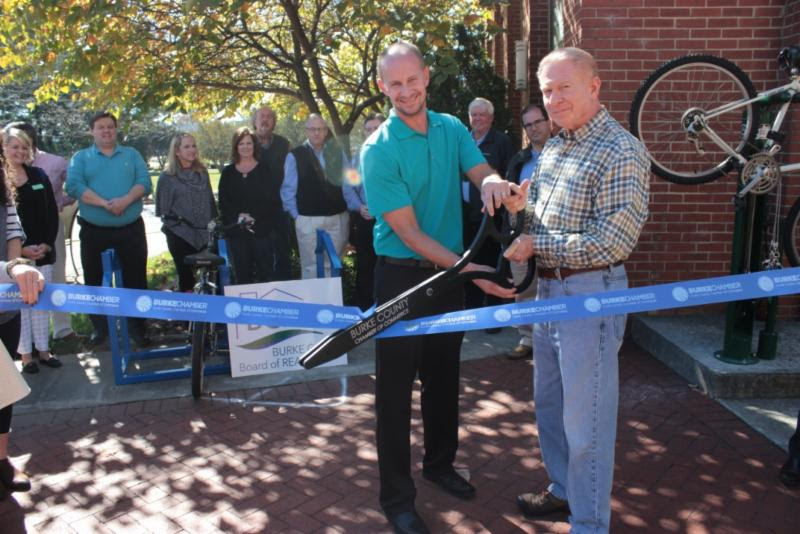 Members of the Burke County Board of Realtors® joined Morganton Mayor Mel Cohen on October 21 for a Chamber ribbon-cutting marking the installation of the first bike rack and fix-it station in the City Hall courtyard. received a $2,300.00 Placemaking Micro-Grant from the National Association of Realtors® to help make the Morganton community a better place to live and work by transforming unused public spaces into vibrant community places. urke County Board of Realtors® applied for and received a Placemaking grant to assist in the installation of a bike rack and fix-it station in downtown Morganton. Additional bike racks are planned to be installed in the Spring of 2016. Placemaking grants are awarded to local and state Realtor® associations to help them and their members initiate placemaking projects in the community, like turning a parking lot into a farmer’s market or a vacant lot into a playground. Realtor® associations and their Realtor® members are actively engaged in the community and know the neighborhoods and the properties that would benefit most from these improvement efforts. 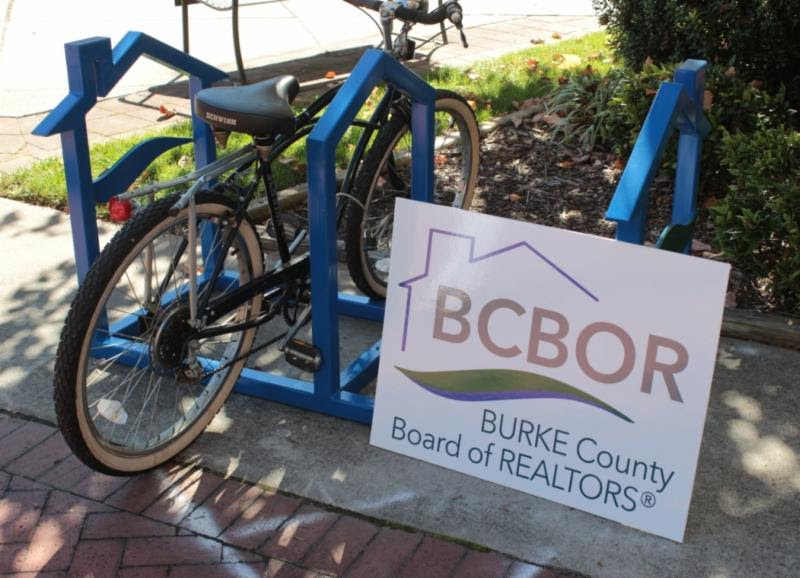 The Burke County Board of Realtors® and the DDA celebrated with a ribbon cutting of the first bike rack and fix-it station installed in downtown on Wednesday, October 21. 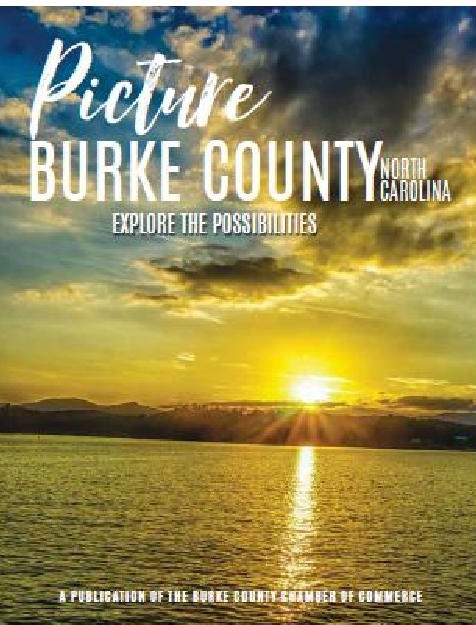 Guests in attendance were Burke County Chamber of Commerce, Morganton Mayor Mel Cohen, Morganton Trading Company, City of Morganton, Morganton Downtown Development Association and members of the Burke County Board of Realtors®. After the ribbon cutting, everyone was invited to Buck’s Pizza for lunch. For more information on the Bike Racks for downtown Morganton initiative, please contact Abby Gentry at 828-438-5280. To find out more about National Association of Realtors® placemaking grants visit, realtoractioncenter.org/Placemaking.